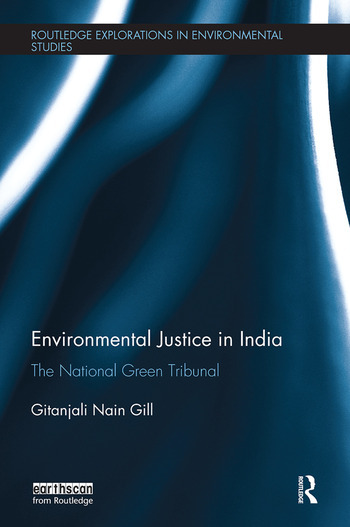 Environmental Justice in India explores the genesis, operation and effectiveness of the Indian National Green Tribunal (NGT). The book has four key objectives. First, to examine the importance of access to justice in environmental matters promoting sustainability and good governance Second, to provide an analytical and critical account of the judicial structures that offer access to environmental justice in India. Third, to analyse the establishment, working practice and effectiveness of the NGT in advancing a distinctively Indian green jurisprudence. Finally, to present and review the success and external challenges faced and overcome by the NGT resulting in growing usage and public respect for the NGT’s commitment to environmental protection and the welfare of the most affected people. Providing an informative analysis of a growing judicial development in India, this book will be of great interest to students and scholars of environmental justice, environmental law, development studies and sustainable development. Gitanjali Nain Gill is a Reader in Law at Northumbria Law School, UK.